Even top chefs don’t work without a can opener they are a solid part of the kitchen assortment because sometimes canned tomatos are the better alternative to fresh tomatos. 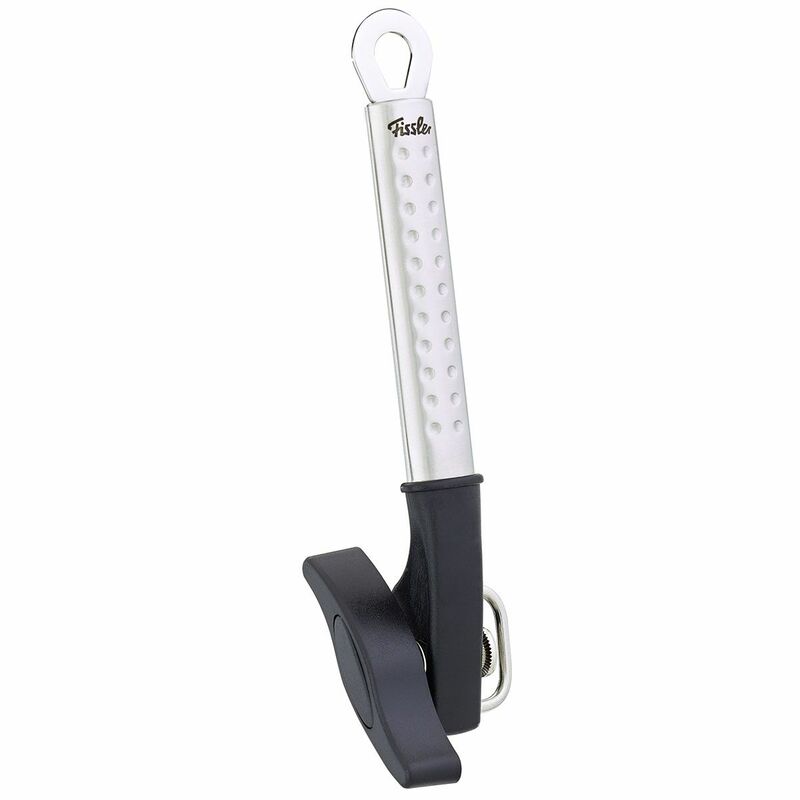 This can opener which belongs to the Fissler magic kitchen accessory series excels through its precise cutting. Thanks to the resulting clean rim the lid can be put back into place to keep leftovers nice and fresh.